I’ve discovered that I like to do experiments. Specifically, I like to do nutrition-type experiments on myself. It’s actually a bit of a psychological game I play because using the term “experiment” feels like there is a time limit. What ever works, right?! A number of years ago I read the book Wheat Belly by Dr. William Davis. That, and the fact that two of my friends suffer from Celiac Disease, led me to try a “wheat-free” lifestyle for a year. 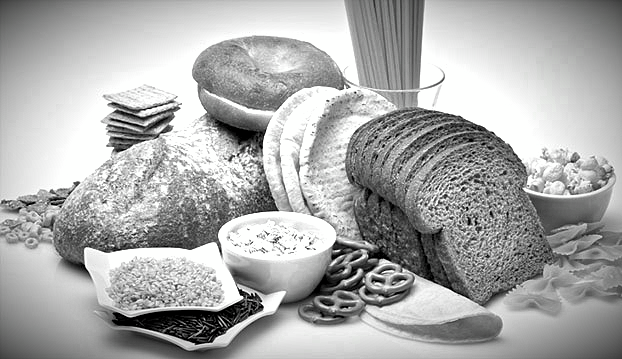 People living with Celiac Disease cannot eat gluten which is much more limiting than not eating just wheat. Please note: beer contains gluten, not wheat, unless it is a wheat beer (insert smile here). It was a fascinating transition. My goal was not to just replace the normal products, like bread, with a wheat free substitute but to look for real alternatives. The first challenge was what to have with my eggs in the morning. My regular go to became beans. They don’t have the crunch and there’s no place to put jam, but the nutritional difference more than made up for what was missing. As time marched on I became more creative. Friday night is homemade pizza night at our house. The wheat crust was replaced with a cauliflower crust. I made lasagne with spaghetti squash instead of noodles. It was so good a friend coined it “Laursagna”. I did resort to using wheat-free pasta because I did not have a Spiralizer at the time. The Spiralizer is an awesome gadget. I use it all of the time now so I know I would have used it then. I learned a lot during that year. I can’t say that I felt any big change in my body. I did bring wheat back into my life when the experiment ended. I continue to choose many of the alternatives I discovered because they contain less calories, and more nutrients. I do notice now that I physically feel the affects of eating too much wheat. I have also come to appreciate how planning meals really helps with weight management. For people with Celiac Disease choices are limited. They have to have snacks with them because grabbing a donut is not an option. Sure, there are far more gluten-free products available now but they are costly so that can be limiting. All in all it comes down to moderation. The food industry makes consuming wheat products not only easy but also addictive. It is everywhere and in everything. Speaking from experience, a little effort to avoid it, at least some of the time, goes a long way.